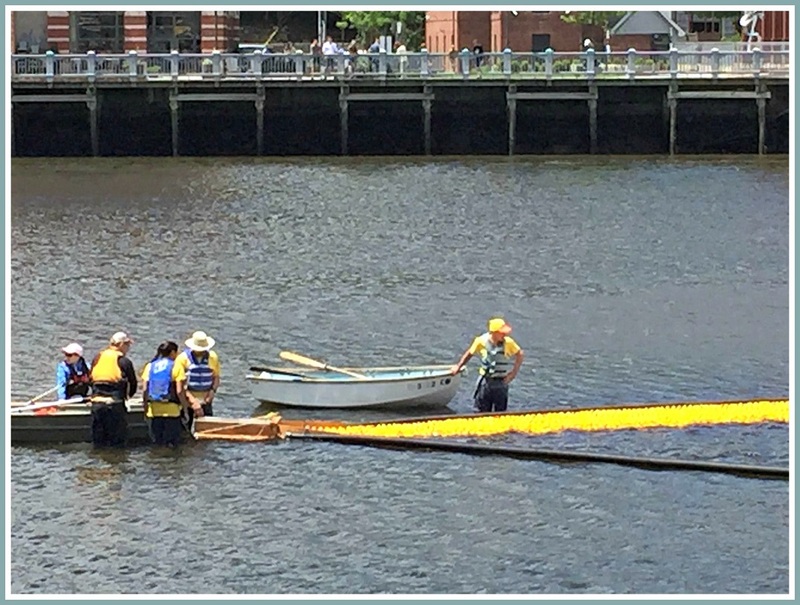 This was the scene earlier this afternoon, as the first of over 2,000 plastic ducks entered the Great Duck Race chute. The winning duck won a $5,000 gift card. Nine other winners split another $5,000. 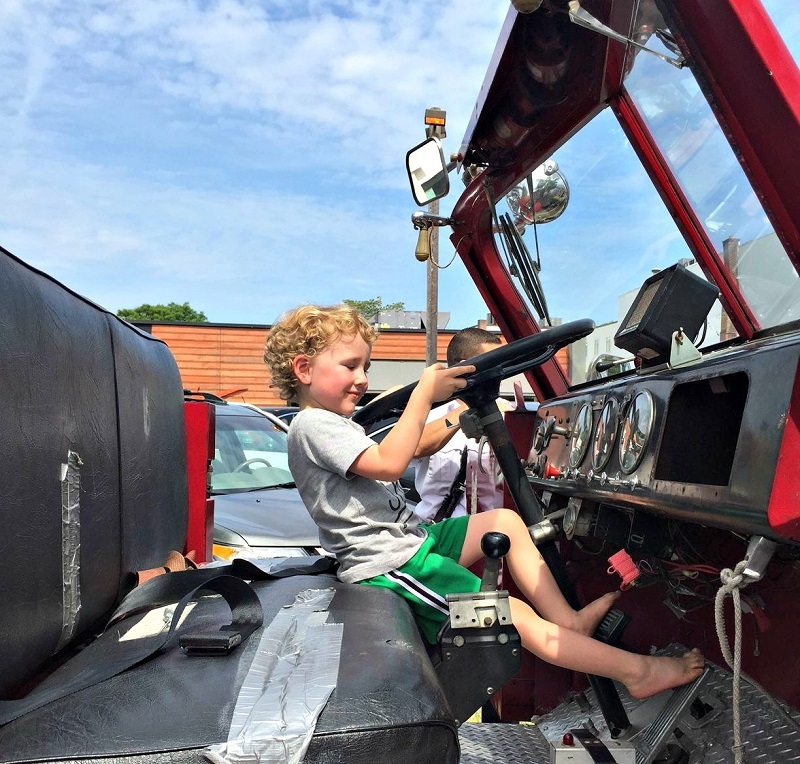 The fun- and fundraising event — complete with face painting, a bouncy ride and more — helps Westport’s Sunrise Rotary Club distribute tens of thousands of dollars to good causes, here and around the world. If you missed the action, click here for 2nd Selectman Avi Kaner’s livestream on Facebook. Be warned: There was a false start. The action starts at the 17:30 mark. Though dirty and bruised, Sunny the Duck is back bobbin’ along. 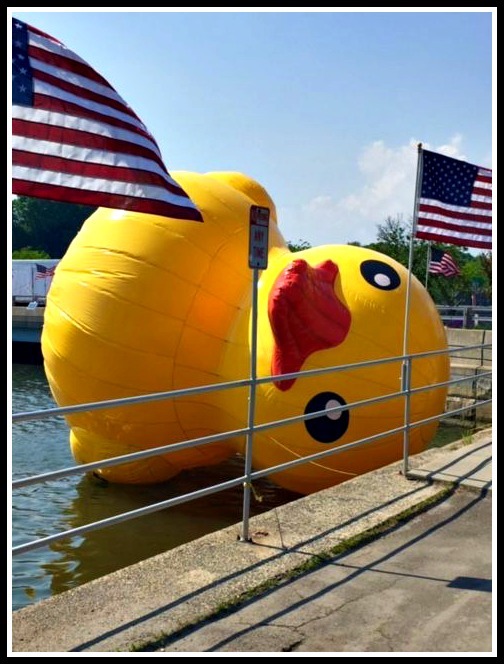 The very large and quite noticeable mascot for next Saturday’s Sunrise Rotary Great Duck Race had a rough couple of days. High winds toppled the poor guy. A lesser duck might have folded. To honor Sunny at next Saturday’s race — or just participate and have fun — click here. The tide was in their favor. The wind was not. So this afternoon’s Great Duck Race was contested at less than warp speed. That hardly mattered. A large crowd gathered at Parker Harding Plaza. 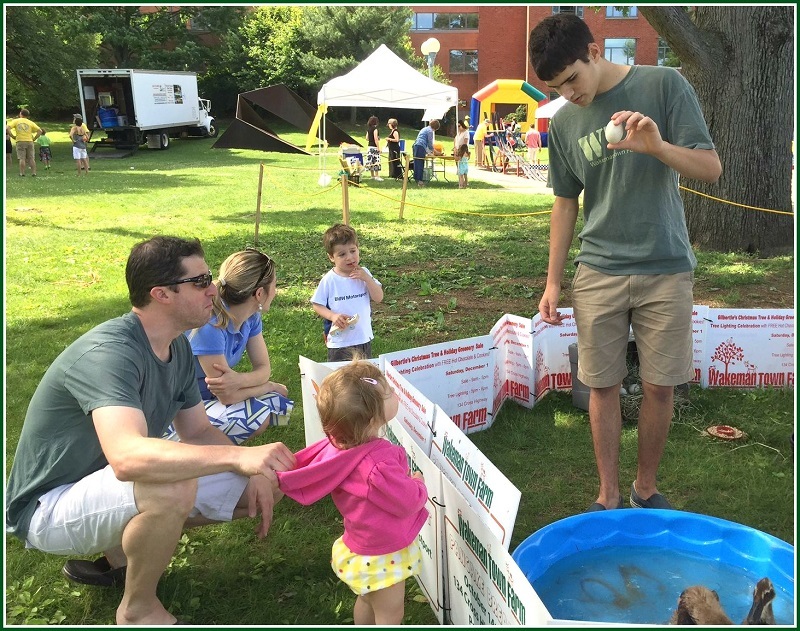 Kids enjoyed face painting, a bounce house and games. 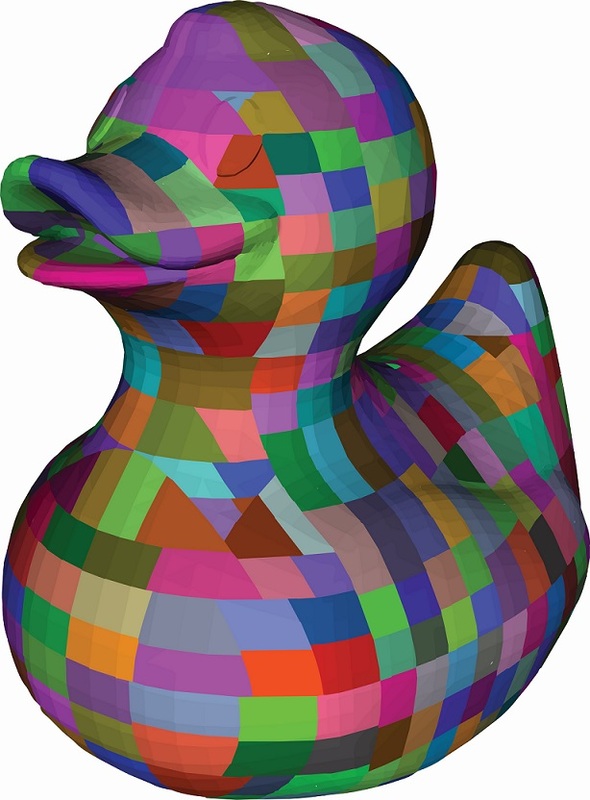 Adults bought rubber “ducks” — over 2,000 of them. At 3 p.m. they were dumped in the river. 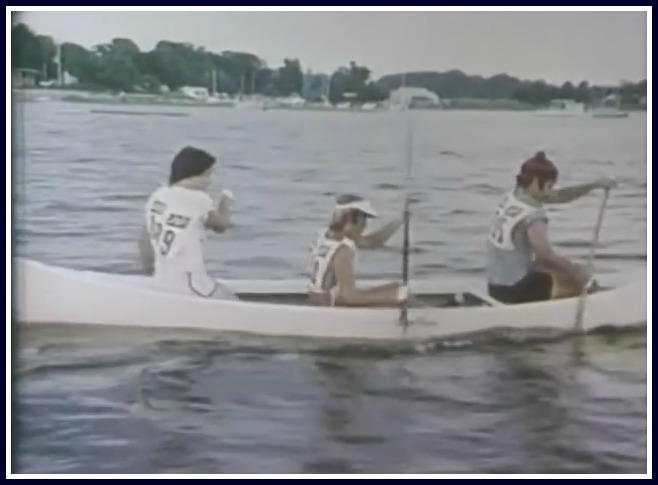 At 3:30 the race began. Slowly — very slowly — the ducks made their way downstream. Finally, a winner emerged. That duck earned its owner a $5,000 Visa debit card. Nine other winners shared other Visa prizes. 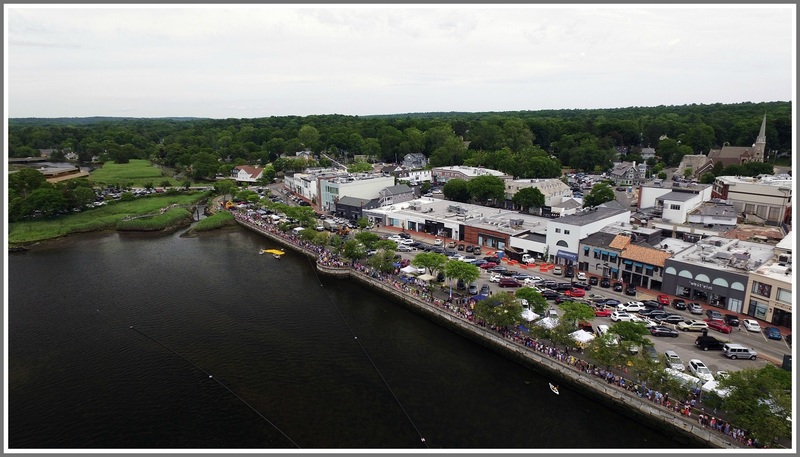 But the real winners are the recipients of more than $20,000 in grants and projects that Westport Sunrise Rotary can now fund. 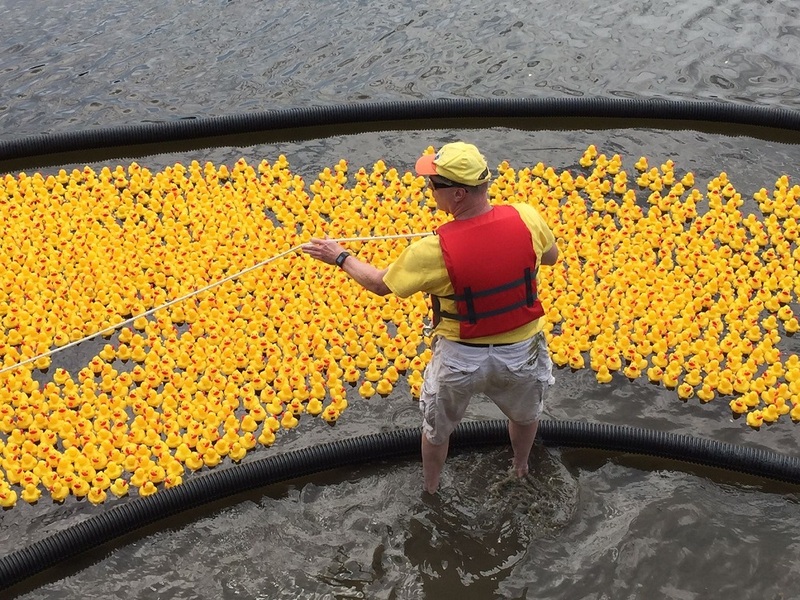 A Sunrise Rotary member wrangles over 2,000 ducks before the start of the race. 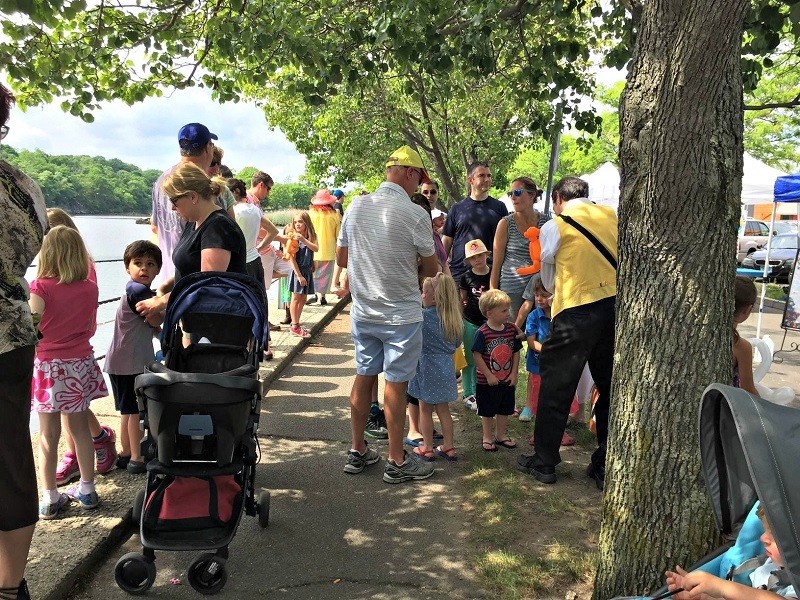 Crowds gathered at Parker Harding Plaza to enjoy duck-related activities. One of the main attractions was a vintage fire engine. 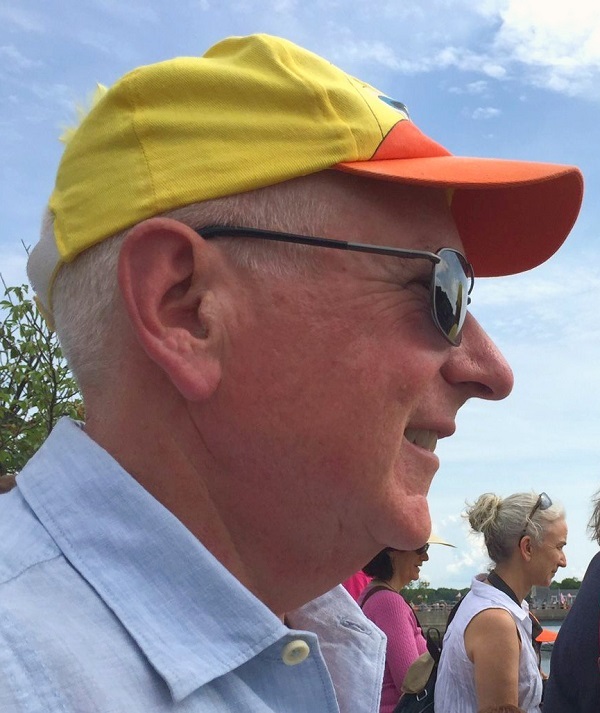 First Selectman Jim Marpe sported a Sunrise Rotary Great Duck Race hat. It was a slow, but photo, finish near the Ruth Steinkraus Cohen Memorial Bridge. 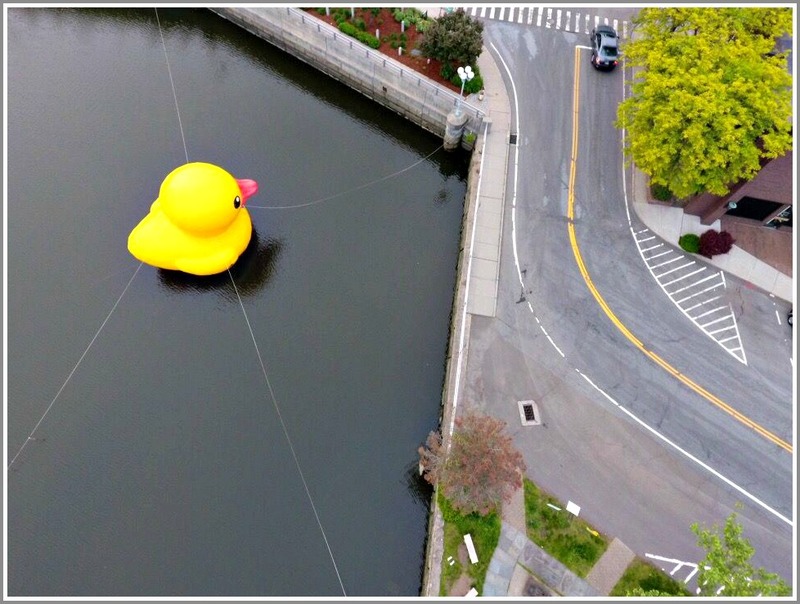 Sunny — the 23-foot inflatable duck promoting Westport Sunrise Rotary’s Great Duck Race on June 4 — has been the most popular downtown attraction since The Crane. 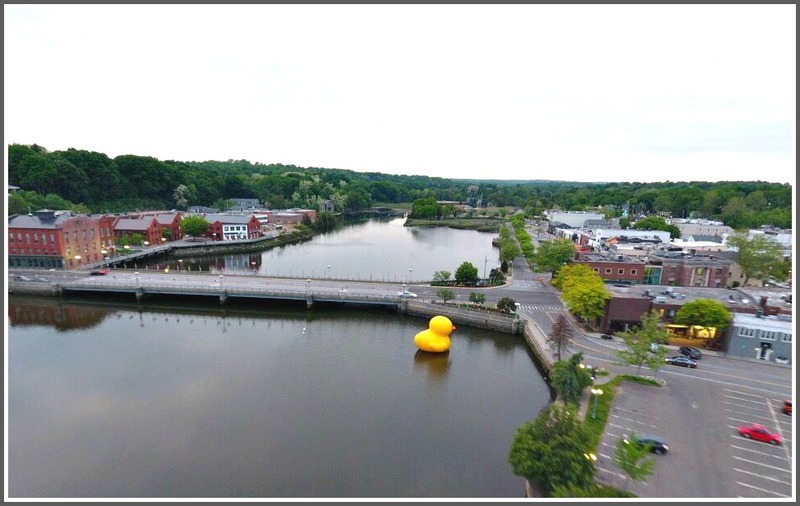 After hanging out by the library, he moved over to more ducky territory: the Saugatuck River. Or maybe he was just resting. Posted on June 13, 2015 | Comments Off on Duck! They’re dumped in the Saugatuck River. The one that races fastest downstream earns a $5,000 Visa gift card. Nine other prizes are worth $5,000 more. There was lots more going on at Jesup Green today too. Staples’ Interact Club — a community service organization that works with the Rotarys — sponsored a 5K race. It’s all for a good cause. Before the race, Sunrise Rotary handed out $34,500 in grants, to 26 area organizations and charities. Recipients include Andrew’s Army, CLASP Homes, Connecticut Challenge, Earthplace, Mercy Learning Center, Positive Directions, Project Return and the Susan Fund. So even if your duck didn’t win, there was plenty to smile about downtown today. 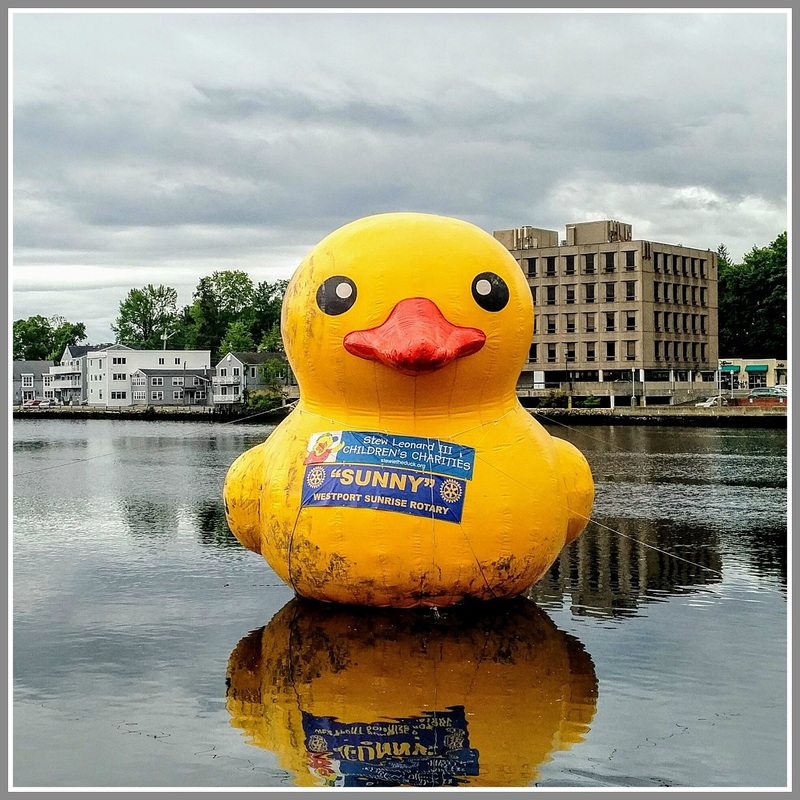 For a number of years, Sunrise Rotary has sponsored a Great Duck Race. 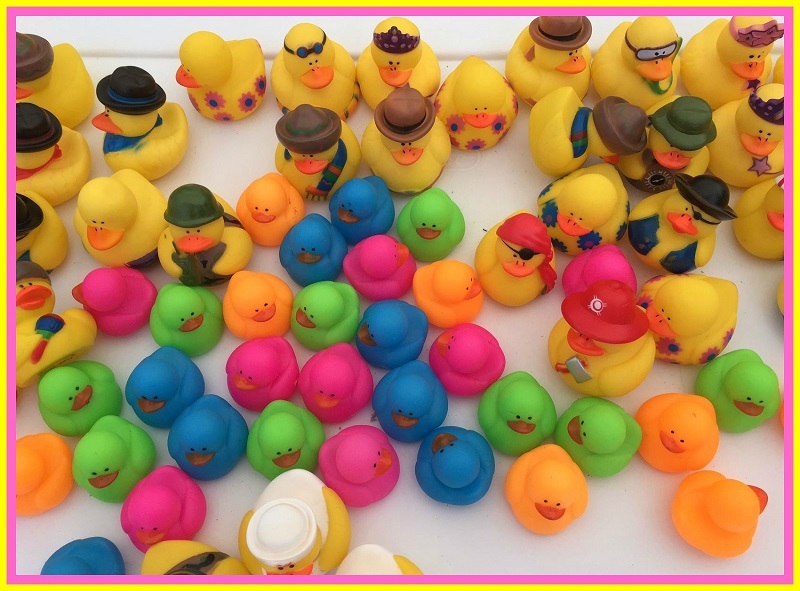 It’s a fun fundraiser — you bet on rubber duckies that are dumped into the Saugatuck River. 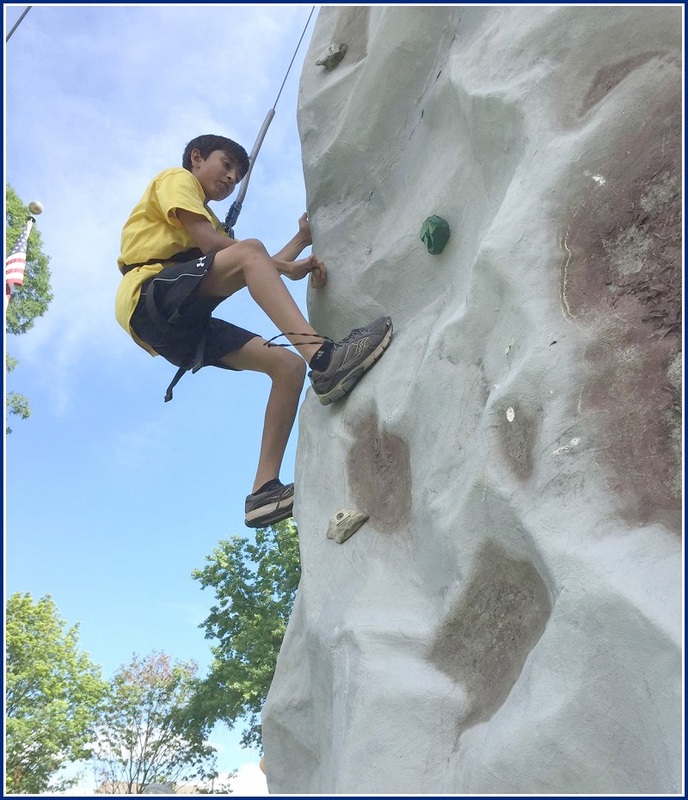 The day is filled with kids’ activities like a bouncy house, a climbing wall and dunk tank. This year’s event — on Saturday, June 13 — will be preceded by a 5K run, sponsored by Staples High School’s Interact community service club. It’s a wonderful town event — something that makes money for good causes, and brings plenty of Westporters together. But those who were here back in the day remember its predecessor: the Great Race. That was to the current incarnation as Gloria Gaynor is to Taylor Swift. You don’t believe me? Check out this video. You can see a lot of bizarre stuff on YouTube. But this ranks right up there. In tones befitting Marlon Perkins on “Wild Kingdom” — or, this century, an endangered-species documentary on the National Geographic Channel — a narrator breathlessly describes what seems to be a very odd tradition in our coastal community. Just a couple of Great Racers being interviewed. In fact, I’m not sure if the entire video is serious, a satire, or just a goof. When you see 2 teams fighting over a piece of garbage on Cockenoe, you’ll wonder too. 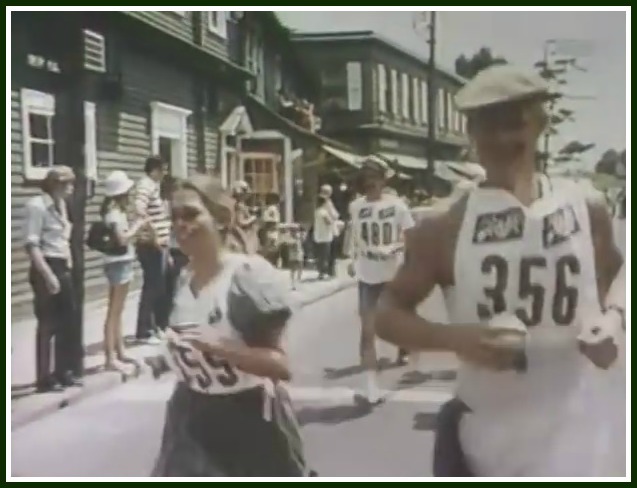 Running down Taylor Place, to the boat launch at the Post Road bridge. But — as the narrator notes — “constant seamanship and vigilance” were keys to winning the Great Race. 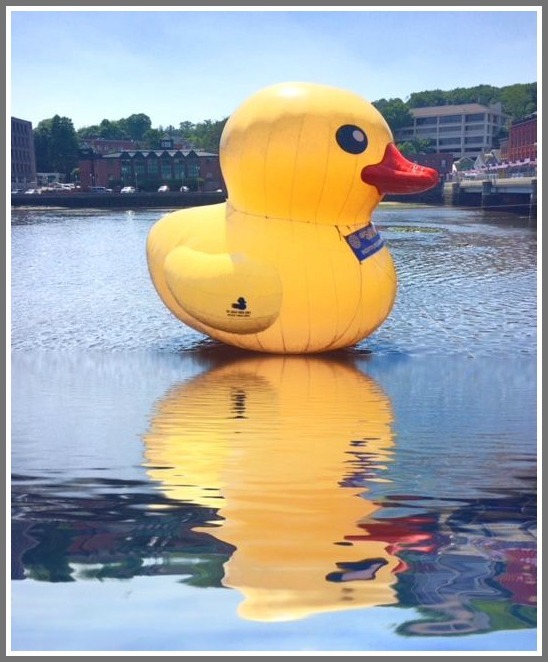 See you June 13 at the Great Duck Race! 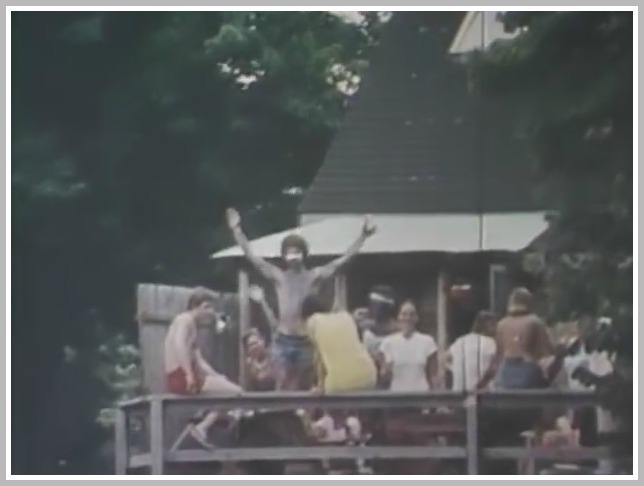 …and partying at a house on the river, as the racers go by. *YouTube says the video is from 1977. However, the bicentennial flag, and several comments, would indicate it is actually from 1976.